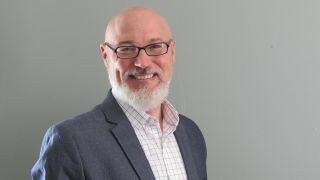 George Tucker has been appointed as director of product education for Aurora Multimedia Corporation. He is an integral part of Aurora Multimedia’s corporate initiative to increase training, improve documentation, and increase product awareness through social media of Aurora’s AV-over-IP, HDBaseT, and IP control categories of products. George brings 25 years of AV experience with display technologies education, social media, and system integration. Tucker’s appointment is part of Aurora Multimedia’s corporate initiative to further grow AV over IP, HDBaseT, and IP control. Tucker’s various positions in AV have had him involved with nearly every aspect of the industry. His career has included time as a systems programmer, live events video tech, working on automation for theater, managing national support for a major industry manufacturer, and social media manager. In addition, he is the co-founder of AV Nation.